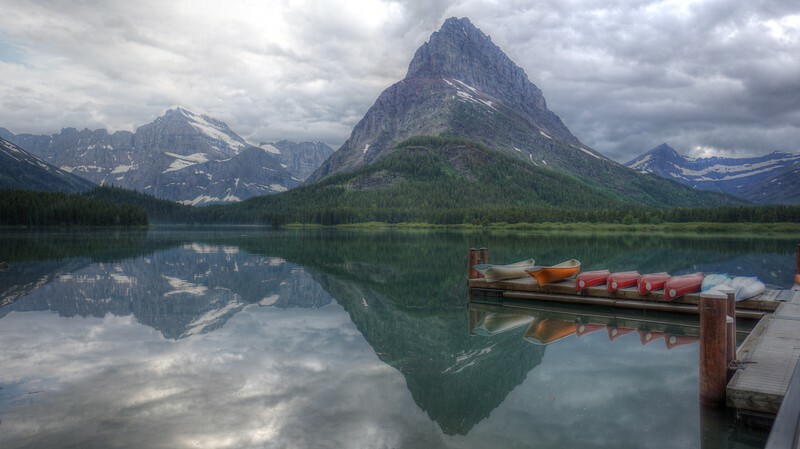 Grinnell Point stands above Swiftcurrent Lake. The smoothness of the early morning lake creates a mirror image of the surrounding mountains and clouds in the sky. Explored another 80 miles of dirt roads over the weekend. The blue signify trails/roads already explored. The yellow were new ones!! We camped Friday night at Hickey Gap in the Cohutta Wilderness Area and then Saturday we headed north into the Cherokee National Forest. We made our way across Baker Creek Road, then towards Lake Ocoee and north on Oswald Road/FSR 195. Oswald Road has some awesome overlooks of the lake and surrounding areas. I want to plan another trip back to shoot some timelapse and astrophotography there. We then traveled on Oswald Road, and then towards State Route 30 and then up to Reliance, TN. At Reliance, we checked out the Hiwassee Union Baptist Church, Hiwassee River, and Webb Brothers Float Service/Texaco. From Reliance, we backtracked to Lost Creek Road. There we stopped for the night to setup camp at Lost Creek CG. There were only three other campers in there, and we were able to get a prime site right on the creek. Sunday Morning we were up bright and early. After some eggs and bacon, we broke camp and started out again on Lost Creek Road. After several miles, Lost Creek ended and turned in FSR 236. When we hit the intersection of McFarland Road, we turned south which would take us to Kimsey Mountain Hwy (which is not a paved Hwy)!! At Kimsey Mountain Hwy, we started to head west and decided to take Smith Mountain Road/FSR 80 as it made a large loop and was less traveled and would hopefully provide some challenges. Looking at the map, I also knew it would eventually bring us back to Kimsey Mountain. As luck would have it, we got all the way to the end of Smith Mountain Road/FSR 80 and there was a large tree across the road. Most vehicles could have made it under it fairly easy with room to clear, but not the Jeep. That lowest branch was right at the Gobi Rack. With really no options to turn around and back track, I busted out the axe!! With the tree clear we were on our way. Once on Kimsey Mountain Hwy, it was smooth sailing (still dirt road though) back to State Route 30. From there we headed south towards home. Over the weekend, we decided to takeoff for a quick overnighter into the Cohutta Wilderness. So we packed up the trailer and headed north. We have explored this area plenty of times before, but there were a few trails I wanted to add to my map. The yellow roads were my targets, and the blue routes already explored. We drove north on 411 through Pine Log, Fairmount, Chatsworth, and then stopped in Eton for a quick lunch before hitting the trails. Paul’s Drive In was right on 411 and sounded good enough for a quick lunch before hitting the trails. A few cheeseburgers later, a quick stop at the gas station next door and all our tanks are full! While we could have started in Eton on Old CCC Camp Road, we decided to travel a little further north to Crandall and enter from Mill Creek Road. The first section of this road is paved, but quickly turns to a dirt Forest Service Road. It winds its way for about 10 miles or so before getting to the intersection for Murray Lake or Lake Conasauga and the Hickory Creek Trailhead. The view at the overlook has you looking north-west back towards Cisco, GA. and into Tennessee. We made a right turn at the intersection (which is West Cow Pen Road) and headed on into the Cohutta Wilderness and Lake Conasauga. About half way along the segment, there is another scenic overlook with a wooden platform. This view has you looking west and while we passed this during the afternoon I high recommend planning a evening to catch the sunset. We did that a few years back and the view was awesome! After the overlook, we rode on for another few miles until we arrived at Lake Conasauga. There are about 30 campsites, all primitive with no water or electricity. All of them have a tent pad, picnic table, and there is two restrooms with running water – but no showers. There are about 7 sites right on the edge of the lake, and another 5 or so close enough to have a good view of the lake. While not big, the lake does have an area for swimming, several fishing spots, and ample room for kayaking. This time we were not fortunate enough to get a spot right on the lake – maybe next time as all the sites are first come, first served. After setting up camp, I broke out the HF rig to try to make a few contacts. I was able to hear quite a few calling all the way from Ohio, but was never able to fully make a radio connection. No camp is complete without a campfire!!! After everyone else in the campground started bedding down, and the majority of the campfires had smouldered out, it was time for a little astrophotography! The lighted area on the horizon must have been the street glow from Ellijay – some 15 miles to the southeast. After a few hours, and our own campfire was burnt out, it was time for bed. It was amazing to fall asleep to the sound of a million crickets and katydids. The next morning we woke feeling refreshed and ready to do some exploring. After breakfast we took the short hike around the lake. It’s total length is about 1.2 miles. After the hike, we loaded up to go explore. Our custom built offroad trailer is quite capable, and tracks easily behind the jeep, and could probably go almost anywhere the Jeep could. We drove out Lake Conasauga Road until it intersected back into Old CCC Camp Road. From there we backtracked towards Murray Lake on West Cow Pen Road and then onto Old Hwy 2 (which is all dirt now). From there, we turned onto East Cow Pen Road. They had it posted for control burns, but we thought we would see how far we could get and just maybe it was open all the way through – no luck! From what I know, it really has never been open all the way through during our years of exploring, or either we have been on it and I forgot all about running it. We did come across a few water crossings and waterfalls though, so that made it worthwhile for us. So from there we backtracked, and headed north on Peavine Sneed Creek Road, and turned off on FSR 221. Oh did I mention at this point we were in Tennessee. We then turned off onto FSR 374 headed towards Hogback Ridge. I had never been on this section, so I was not familiar with it, or if it even went all the way though. We met several vehicles along the way, so that gave me hope that it came out over on the Ocoee River or Lake Ocoee… BUT no luck again. After about 7 miles, we came to the end were .5 miles from both the lake and river on either side of the ridge. SO CLOSE!! Time to back track and head south towards the house. There are a few other areas I want to explore, so this won’t be our last trip into the Cohutta Wilderness!! !